The waterproof Apex Extreme is designed to take cold weather explorers, cyclists, climbers, and backpackers to new heights. 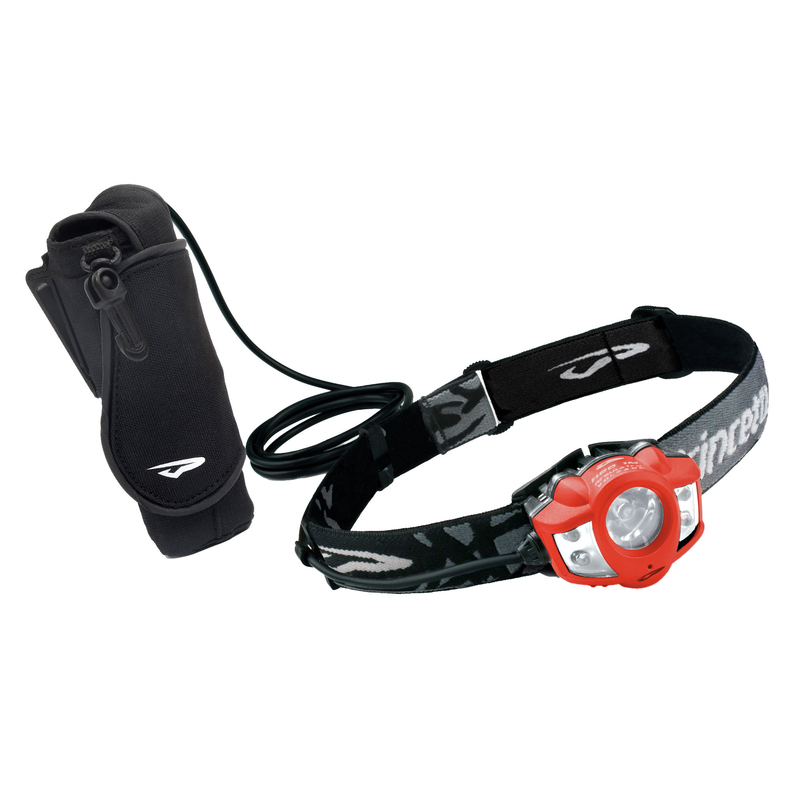 The Apex Extreme provides the same great user interface and output as the Apex, the pinnacle of our Professional Series headlamps, but stores its batteries in a remote enclosure that can be clipped close to your body for optimal battery warmth and usage in cold temperatures. In addition, the external battery pack reduces the weight on your head. Having the longest burn time of the Professional Series, the Apex Extreme is perfect for winter months when the nights are longer and the temperatures are dropping. Spending time on two wheels? Asphalt, gravel, dirt, snow, rocks – whatever path you’re headed down, products in this category can help you see and be seen on your bike.